I lay awake this morning and imagined the wetland. I just wanted to be there, even though it was still dark. I drank some warm milk and tried to go back to sleep, but eventually I knew I must just get up and go there. So at first light I found a warm coat, my notebook and pencil, and decided to try and write haiku in the wetland, like I did back in April. 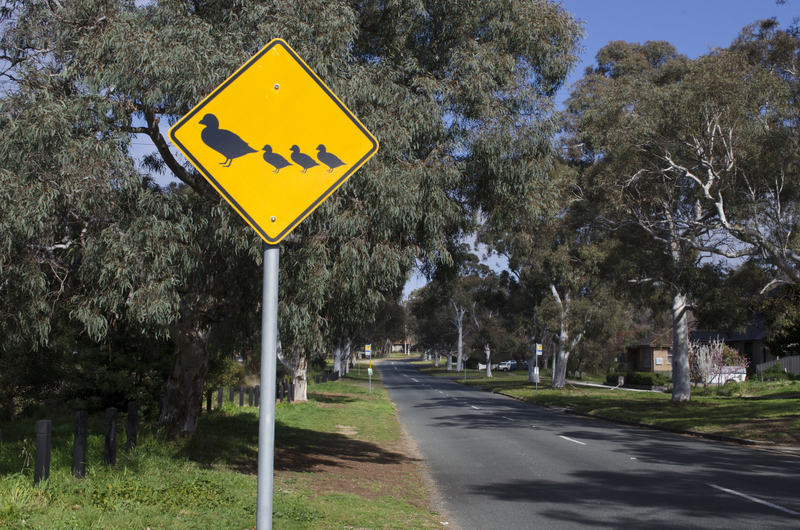 On the way, when I noticed a duck sitting on top of a streetlight on Northbourne Avenue (our main road), I knew I had made the right decision. It seemed like a good omen. I did question myself, as usual, Will I be able to do it? Will I feel disappointed if I can’t write a poem to my satisfaction? A haiku, just three lines and seventeen syllables, so small a poetry creature, can feel at the same time so large, and the attempt sometimes difficult. How to reflect or capture experience? This, for me, is always the question. It is a bit like a dare, I might be able to, or I might not. And I won’t know if I don’t try. 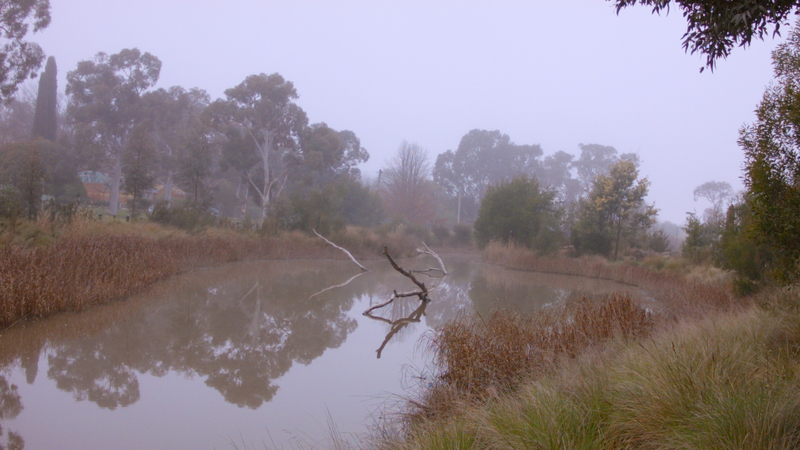 It was misty and cold and exhilarating at the wetland this morning. As I found myself in a soundscape of birdcall, frog chorus, and insect hum, it did occur to me that my human language, the marks on the paper, the sounds in my mind, seemed very inadequate in comparison. The haiku at the beginning of this post is what I came up with. 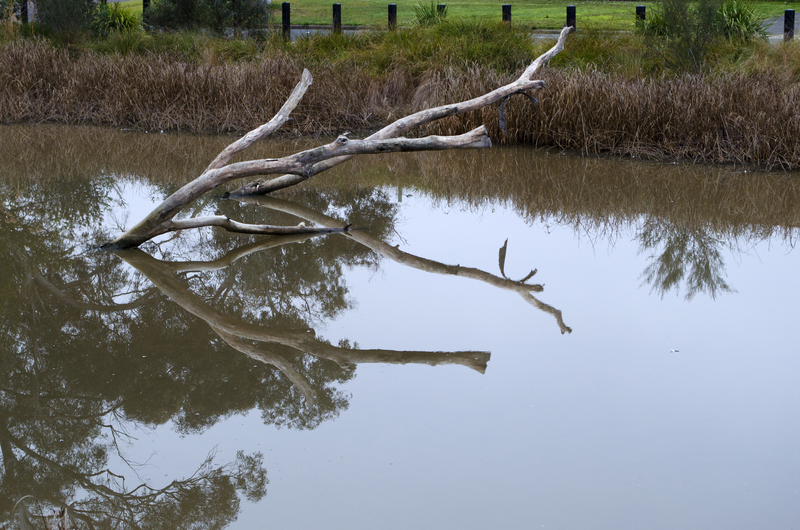 Like a haiku, Banksia St Wetland seems small and big all at once. It seems tucked away as you approach it, but big as you wander through it. 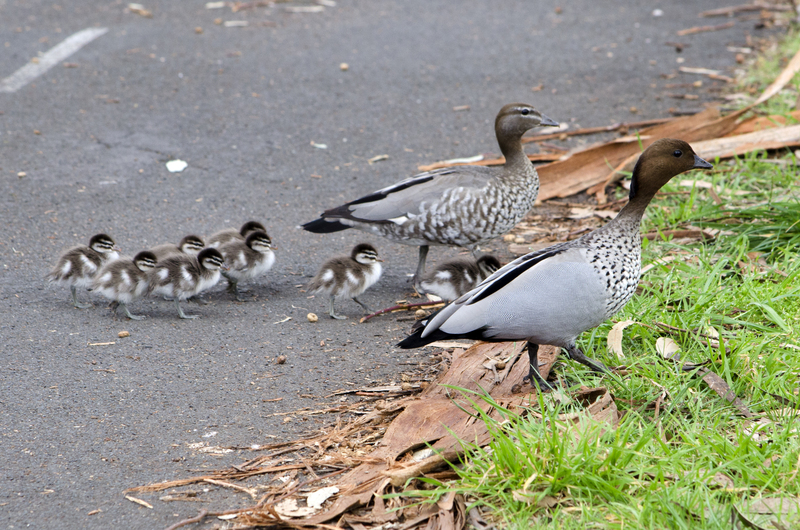 It is the first wetland in the Australian Capital Territory to be developed in an established suburb, and it is a magical place, but also very practical. Water from the storm water drain gathers there, and the reeds and sediment take up the nutrients in the water and improve the water quality of the Sullivan Creek catchment. I helped facilitate a community event at Banksia St Wetland earlier in the year, Haiku in the Wetland, with Edwina Robinson (Urban Waterways Coordinator). All the participants wrote beautiful haiku and the Centre for Cultural and Creative Research (CCCR) and the Institute for International Poetry Studies at University of Canberra and the ACT Environment and Sustainable Development Directorate supported the event. You can read the poetry and enjoy photos from that day on the CCCR website. It felt good to return and write at the wetland again. I might make it a regular writing place. 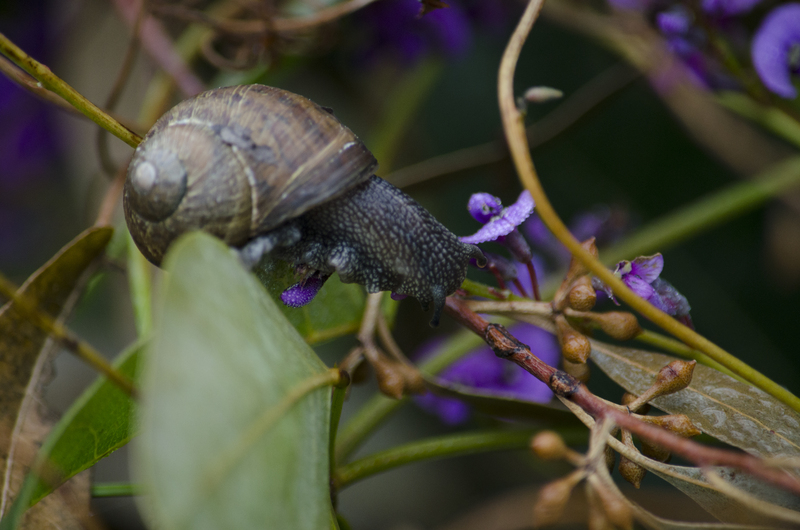 I usually take the photos for this blog, but this morning Dylan Jones came with me and did his usual amazing nature photography. 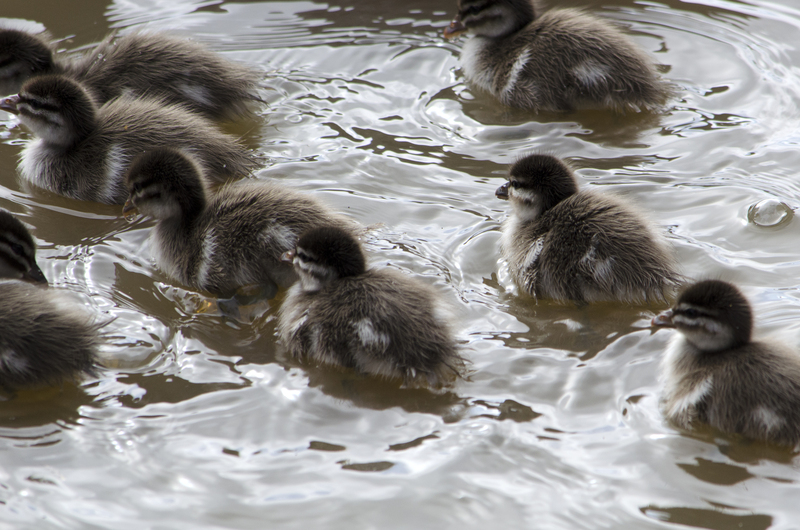 We were very lucky to end our visit by watching a duck family with chicks waddle to the water, and plunge in.